The PortaDot is suitable for use in even the toughest industrial environments and is often used for cast and forge marking and oil and gas marking. The robust aluminium marking head is protected by strong metal casing, providing excellent reliability and long product lifespan. 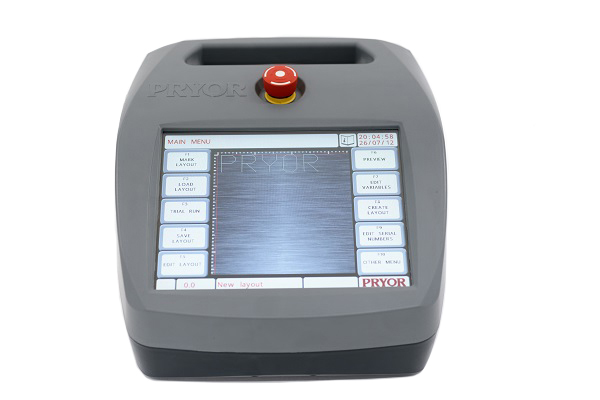 The portable dot marking machines can permanently mark most engineering materials up to 62HRc. 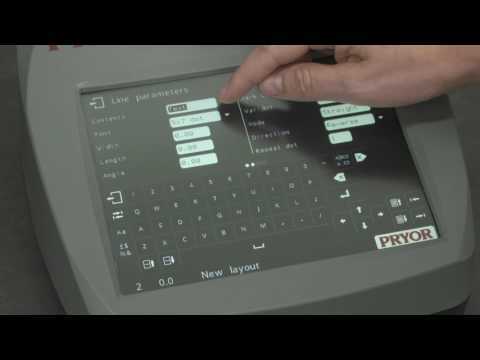 The PortaDot is fully programmable, allowing complete flexibility and control over mark output from depth settings to spacing of the dots, character font and size, arc marking, Data Matrix marking, serial numbering, time and date marking and various other options. The software is easy to use and layouts can be saved for repeatability and consistency. No PC connection is required, however this can be enabled if so desired. 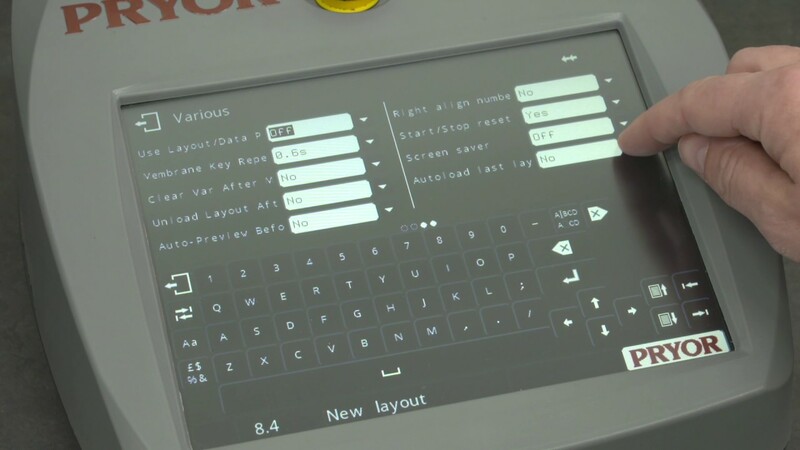 The controller is separate from the marking head to ensure the integrity of the electronics, which would be compromised if they were mounted on the marking head. 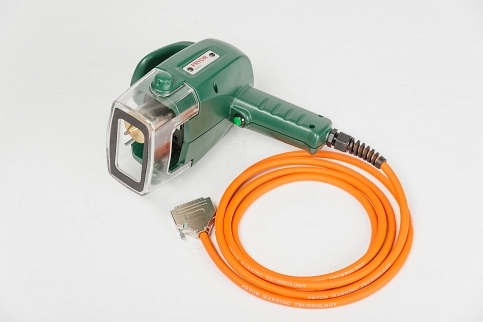 Marking Area: 50mm x 25mm; Weight: Marking head/cable: 2.3kg ; Power supply: AC Input 50/60Hz; 100-240VAC. 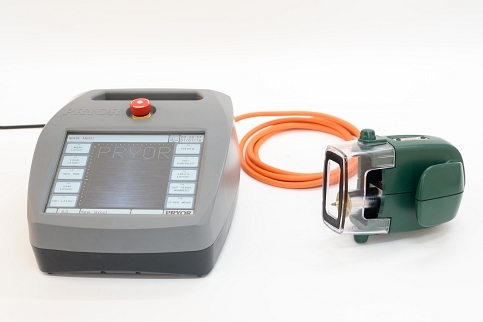 Pryor PortaDot Range provides a fast and portable method of dot-peen marking, otherwise known as dot marking. 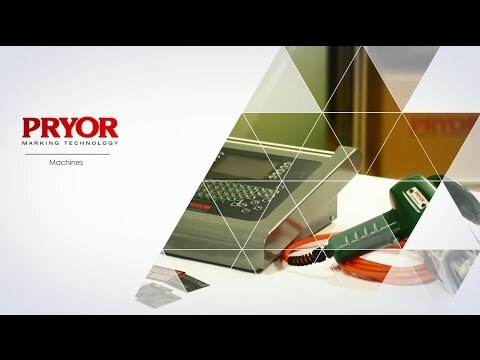 It is ideal for marking permanent alphanumeric, logo or 2D barcode information onto immobile, large or heavy components and is often used in rail, oil and gas, foundry and construction applications.